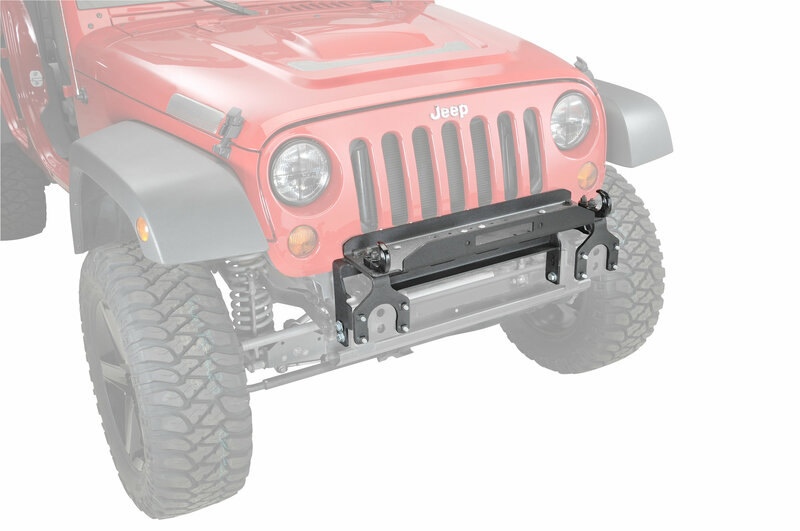 This indestructible Winch Mount fits most WARN and other brand winches with a standard bolt pattern to the factory front bumper or optional factory tubular bumpers. 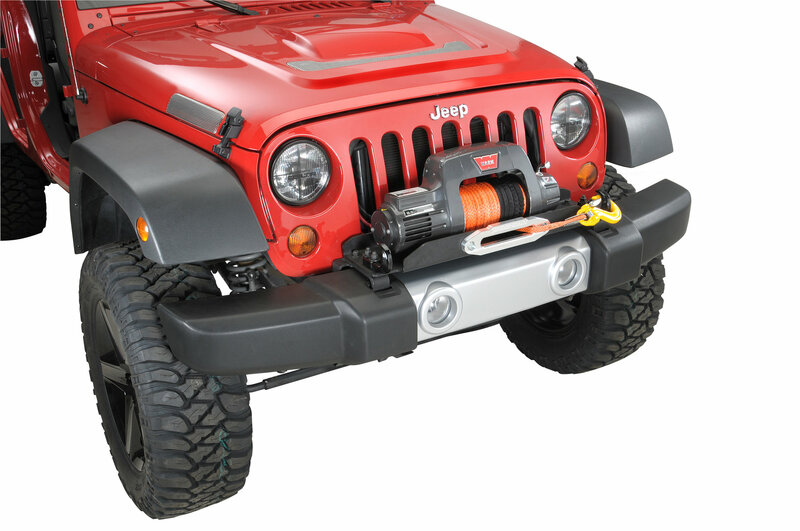 A specific mount for the front mounted M8274 Winch is available separately. Fast delivery. 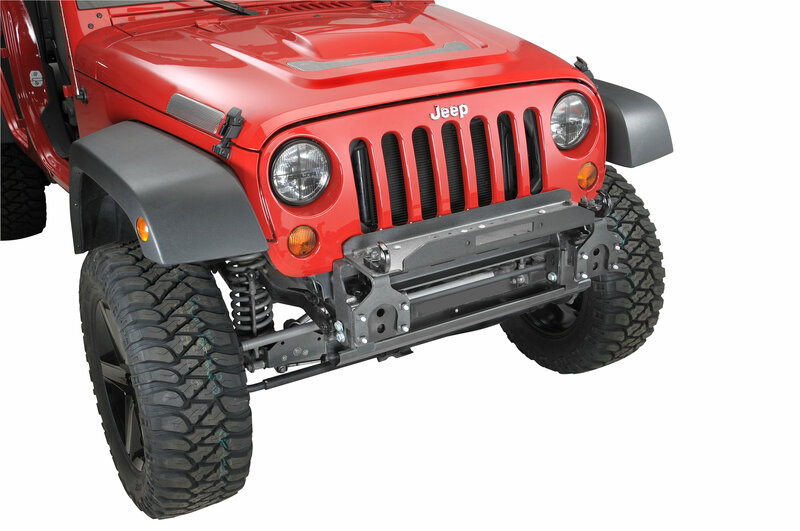 If you are not looking to install complete bumper, this is a great option. 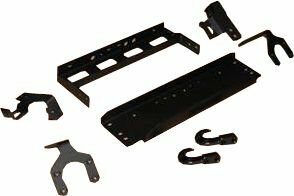 The install is a bit more lengthy and you will want to have an angle grinder or some form of cutting tool for one section. 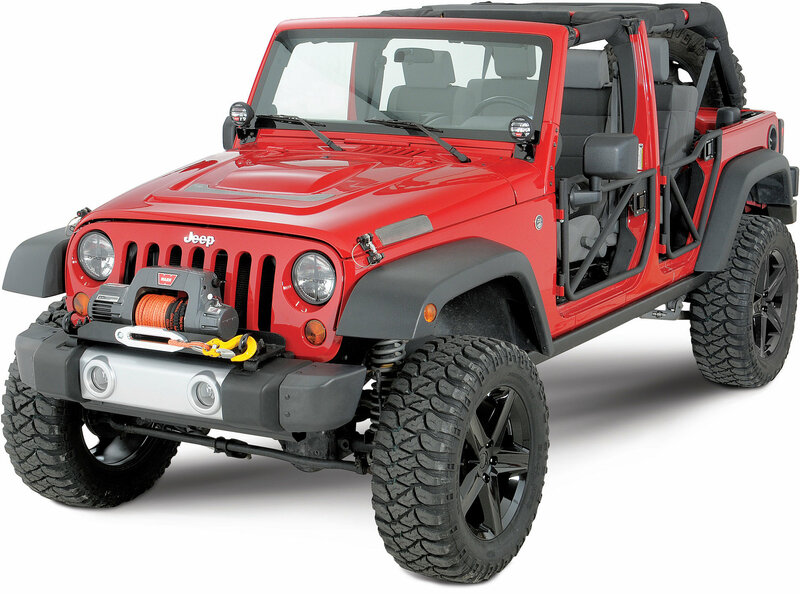 I waited for my touch up paint to completely dry where the cutting was done, as I didn't want rust on a 4-month-old Jeep. 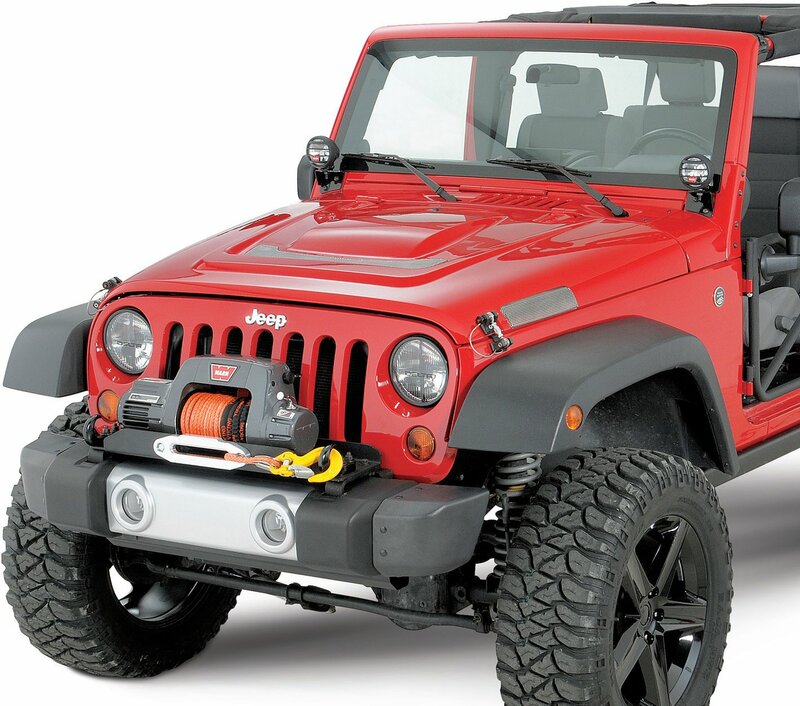 As far as strength, I have pulled my jeep full loaded over terrain and out of holes without any issue. Once you install, you will see that this is really strong.